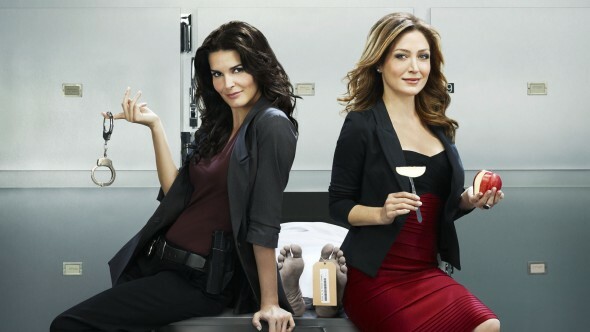 Earlier, we reported that the seventh season would be the last for Rizzoli & Isles. Brown will reportedly play CJ Prescott, “a ‘brash and blustery’ U.S. Postal Inspector” in the new season, which will premiere sometime this summer. The season six finale of Rizzoli & Isles airs next week on March 15th. What do you think? Do you watch Rizzoli & Isles? Do you like Yvette Nicole Brown? Will you watch the final season? ANOTHER GOOD SHOW BEING CANCELED. ROYAL PAINS AND RIZZOLI AND ISLES. FOR ALL THE JUNK SHOWS LIKE REALITY JUNK SHOWS. PLEASE RETHINK THESE 2 SHOWS. PLEASE!!!!!!!!!!!! From here on out I will just consider anything fromTNT & Hallmark to be a mini-series. These networks just aren’t long-distance runners anymore. Love Rizzoli, Isles, Angela, Korsack, the whole cast. I will miss it for sure. I think TNT is ******** up by dumping this show. Really, the whole cast, I think that is one of the main reasons they are getting the axe because they way overuse the B characters and most could care less about Korsak, Angela, Frankie, Nina, Kiki, Ron. The writers can’t seem to gt Jane and Maura right anymore and are way underusing Maura. But, hey, I guess you like the ensemble, one is as good as another. I agree, about TNT… But let’s also include ABC the station notorious about dropping good family viewing and renewing horrible crap! I almost never watch ABC because of that. I love RIZZOLI & ISLES & all the cast members, too and will be very sad to see it end. But who the heck is Yvette Nicole Brown? Wow what did I write to warrant being censored? I never use profanity on my replies. The profanity filter we use is a bit flawed. You used the word scr ewing which really shouldn’t be a problem. Finding a replacement for the filter has been a challenge. Can’t deal with this show ending. Just love it and the wonderful cast. Missing it already. Leaving on a high note doesn’t make sense. Thank goodness the producers of NCIS don’t think like that..thirteen seasons and still going strong. You are foolishly not renewing a really good show. Besides those of us who love the show no cast, you are putting very good actors out of work.